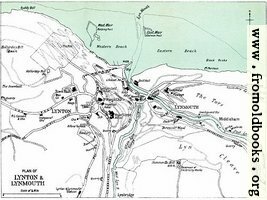 Pictures and words from A Pictorial and Descriptive Guide to Lynton, Lynmouth, Exmoor, Minehead and the Land of “Lorna Doone.” with new plans of Lynton and Lynmouth and Minehead; map of the district and map of North Devon. Published by Ward, Lock & Co. of London, 1910/1911. 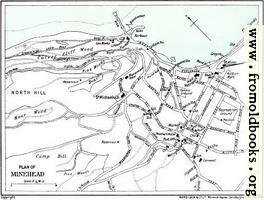 This little series of guidebooks seems to have been very popular; it told the reader how to get to places using public transport, and in particular the railways, which was particularly useful in a time when most people were without cars. I have marked it for non-commercial use because I’m not certain about the copyright status. Published by: Ward, Lock & Co., Ltd.